So, my episode reviewing 'The Pilot' is finally here! Yes, there were some technical errors and issues (quite a few), as well as Life Stuff that got in the way, but I bested them and finally was able to pull it all together for you here today (albeit with a bit of a sore throat that makes my voice crack much like male puberty at times, but oh well, these things happen). 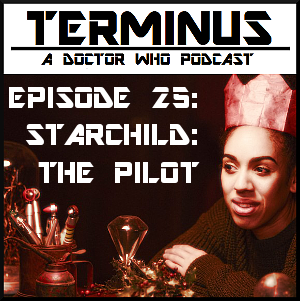 Anyway, so join me as I excitedly talk about our first proper introduction to Bill Potts, discuss shades of 'Shada', play around with some Jungian interpretations and other related chat about water and reflection imagery, empathize with young awkward queers, dance for disco androids, and try to contain my burning Professor fetish. As always, glad to have you all aboard. Do enjoy the ride! 0:03:36 - Discussion of "The Pilot"